Located in Mayur Vihar, Studio M By Madonna is your one-stop destination for all your beauty needs. They are a team of professionals who work towards giving their clients the perfect look and focus on enhancing their natural beauty. 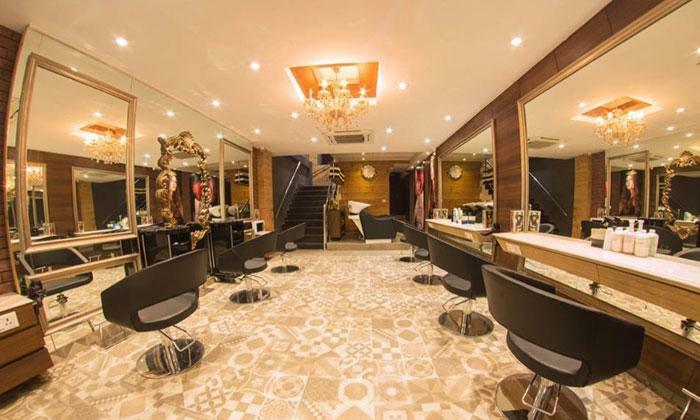 The salon has an urban and contemporary look with shades of beige and brown in the decor, creating a friendly and warm environment. The staff here is skilled so whether its looking special for an event or just getting your beauty regimen, you will not be disappointed with their services.